The CSI2*-rider had the chance to have a taste of the ‘Zoute Plage’ – the main arena – in Knokke today. And for some horses and riders this was a totally new experience! Some horses were impressed, other rose above theirselves. In the afternoon, the CSI2* combinations competed in the first round, this evening a quarter of these riders returned for the final round. Only one competitor managed to stay clear in both rounds: François Mathy and Polinska des Isles. Jeroen Appelen and Filesto vd Herkant finished almost three seconds quicker than Mathy, but had a rail down in the second round and took the runner-up position. Marie Hécart and Cenwood Delle Lame finished third. 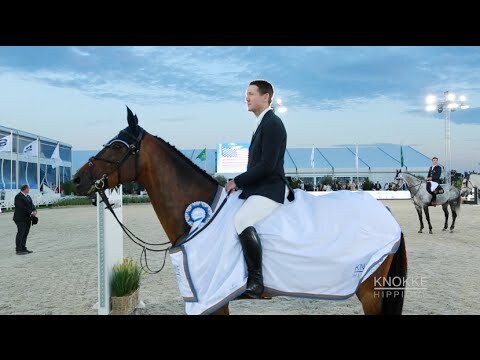 McLain Ward takes his revenge and the victory!